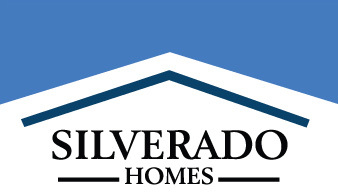 Silverado Homes is nearing final sell out of the senior living community, Silverado Village Placerville. Since opening in spring of 2016, Silverado Village has proven to be a success with multi-level service offerings within the neighborhood, including independent living, assisted living, and memory care. The 113 single-story homes that make up the independent living community sit on acres of beautifully landscaped grounds full of walking trails and outdoor scenery. Silverado Village offers seniors a unique opportunity to maintain their independence through homeownership, while still providing the warmth and companionship of senior community living. The six (6) remaining homes in Silverado Village are two bedrooms/two bathrooms, and range in size from 1,207 to 1,492 square feet. The 1,590 square foot homes are sold out. All feature two-car garages and have many convenient additions to make daily life easier. There are also many ways that your home can be customized and personalized to fit your unique style and needs. Residents have priority access to amenities at the Village Center, which include a spa, a fully-equipped fitness center and an indoor heated swimming pool. There is also a community room, which can be used for seminars, arts and crafts, potlucks or card games. Silverado Village homeowners can take advantage of the extra features at the Eskaton Lodge, such as restaurant-style dining on-site or meal delivery service. Situated in the bustling city of Placerville, Silverado Village is close to shops, historical points of interest and a variety of different restaurants. Residents can choose from more than fifty local wineries, visit gorgeous state parks, or enjoy a day of shopping, all with new friends from their very own neighborhood. Homes at Silverado Village start in the low $300,000s.